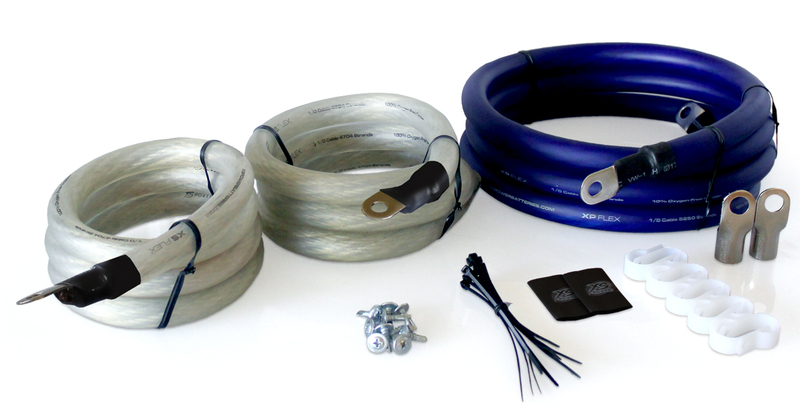 If your aftermarket audio system is putting a strain on the rest of your car's electronics, you might want to upgrade your factory wiring. 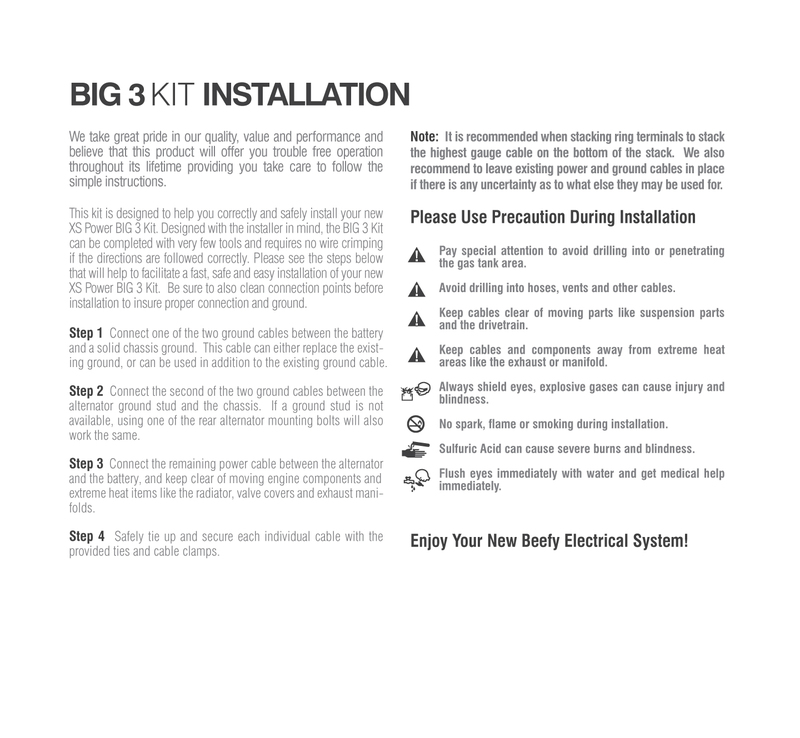 Rated to 350 amps, this "Big Three" electrical upgrade package will boost your electrical system's performance by allowing the maximum current to flow easily from your alternator, greatly improving the system's ground connection to your vehicle's chassis. 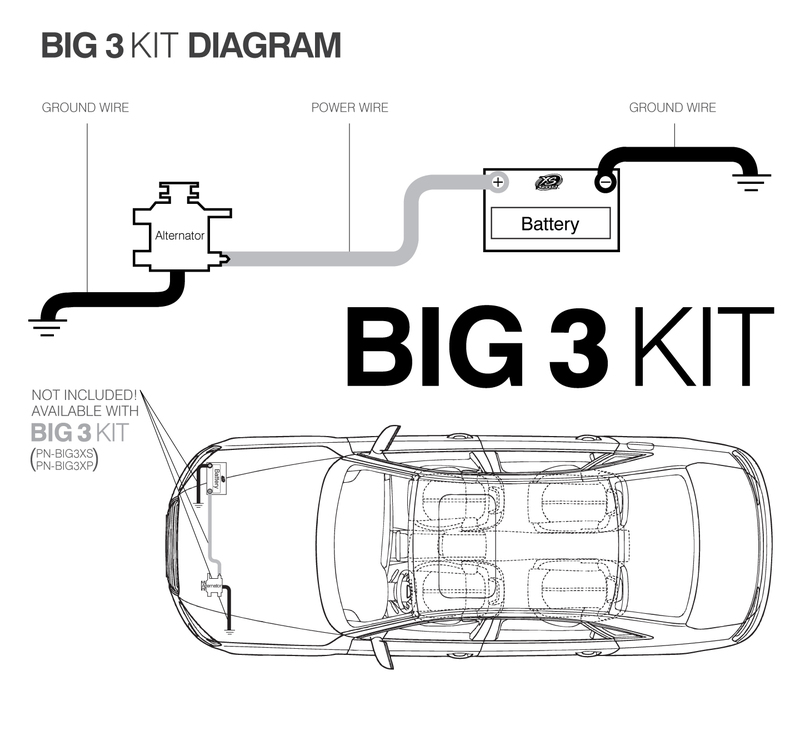 XS Power's Big3XS kit includes heavy-duty 1/0-gauge oxygen-free copper cables that replace your vehicle's battery ground-to-chassis wire, the chassis-to-engine block wire, and the alternator charge output wire. Another bonus is that the ring terminals are already crimped to the wires, so you won't have to replace the stock grounds unless you want to improve them or double up.